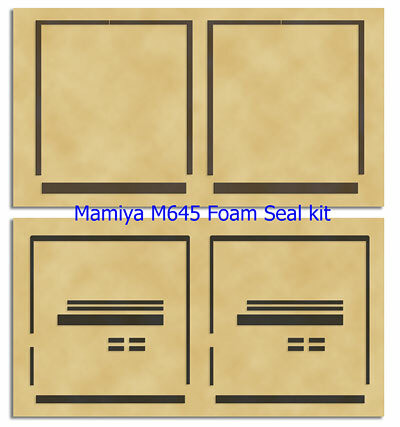 This is Mamiya M645 Light Seals foam (backdoor gasket sponge and Mirror Cushion) replace kit. This seal kit covers whole Light seals as below. This kit fits to Mamiya M645, does NOT fit to the other size film holders. The price is 12 USD. 2 seal kits (for 2 cameras ) included in 1 set.